The BJP released a list of star campaigners in Gujarat for the upcoming election which included Prime Minister Modi, Amit Shah and Rajnath Singh. 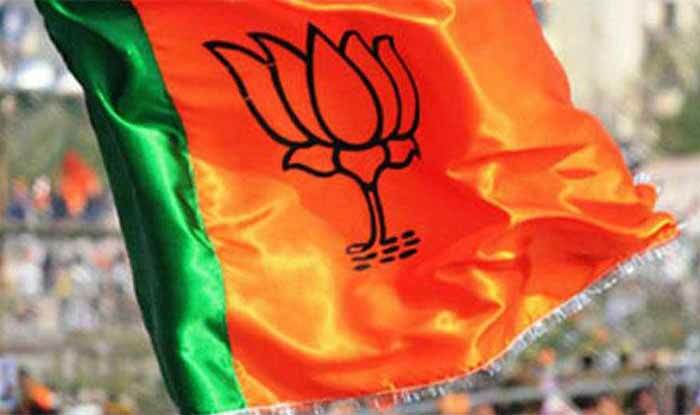 New Delhi: The Bharatiya Janata Party (BJP) released a list of star campaigners in Gujarat for the Lok Sabha Elections 2019 and the by-election in the state. The list included Bollywood actor Vivek Oberoi, who is playing the role of Prime Minister Narendra Modi in an upcoming biopic. Some of the star campaigners on the list are Prime Minister Narendra Modi, BJP President Amit Shah, Union Home Minister Rajnath Singh, Minister of Road Transport and Highways of India Nitin Gadkari, Minister of Finance and Corporate Affairs Arun Jaitley, Minister of External Affairs of India Sushma Swaraj, BJP’s National General Secretary Ramlal Ji, former Madhya Pradesh Chief Minister Shivraj Singh Chouhan, Uttar Pradesh Chief Yogi Adityanath, and Indian actress Hema Malini. The 26 Parliamentary constituencies of Gujarat will undergo polling in the third phase of elections on 23rd April. Notably, the BJP had won all 26 Lok Sabha seats in the state in the 2014 polls. Meanwhile, Prime Minister Narendra Modi is scheduled to conduct two public rallies in Gujarat on April 10 in the run-up to the Lok Sabha polls in the state on April 23. These rallies would be held in Junagadh town in the Saurashtra region and in south Gujarat’s Songadh, said state BJP president Jitu Vaghani. “On the morning of April 10, PM Modi will address a gathering in Junagadh town. People from both Junagadh and adjoining Porbandar Lok Sabha seats will converge there to be part of the gathering,” Vaghani told reporters here. Later in the afternoon that day, the Prime Minister will address a rally in Songadh town, in Tapi district, which is part of Bardoli Lok Sabha seat, added Vaghani. “The PM will address people from Bardoli as well as adjoining Navsari Lok Sabha seats in the Songadh rally,” he informed.